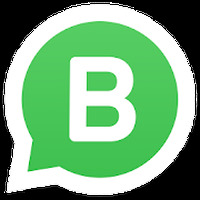 WhatsApp Business Android - Free Download WhatsApp Business App - WhatsApp Inc.
"Whatsapp company version on Android"
App description: WhatsApp Business is the ideal solution for companies that want to improve communication with their customers. Functions: It allows companies to create a WhatsApp profile, contact customers and consumers, support landlines and PCs, and more. Developer: WhatsApp Inc. is based in United States	- Android-Market-trusted developer. Installation requirements: A minimum of 24M of free memory space and Android 4.0 or higher. Rating: The TOP 5 Most popular Apps in WhatsApp Messenger category. Ranking: The TOP 5 Most downloaded applications in WhatsApp Messenger category. Handle support requests, complaints, and even increase your online sales. Take advantage of automated messages to welcome customers, send standardized responses, and more. Message tools can be easily found through the "Company Settings" menu. 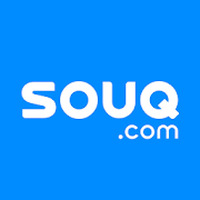 Use the profile to provide relevant information about the company. Constant bug fixes and stability improvements. The interface is attractive and easy to operate. Do you like WhatsApp Business? Great experience and a very good innovation. How to Use Whatsapp Business on Android? Sync your existing WhatsApp account on a second device. Add new stickers to your WhatsApp! Send spectacular emoticons and emojis to your friends!